A good re-upholsterer can give furniture new form, take out dated details and give you back a piece of furniture that's better than new. 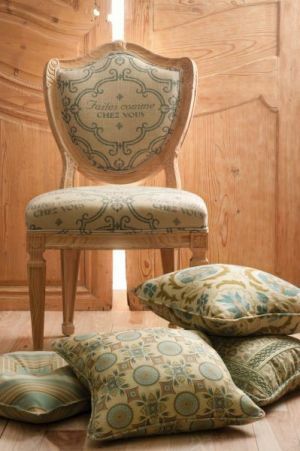 Custom cushions, decorative pillows and tableskirts add punch to a room and pull together colors used elsewhere. We offer dozens of custom pillow shapes and sizes, plus tableskirts, table toppers and table runners. Custom shaped cushions can be made for unique furniture pieces, window seats or boats. Marine foam is available for added longevity outdoors.